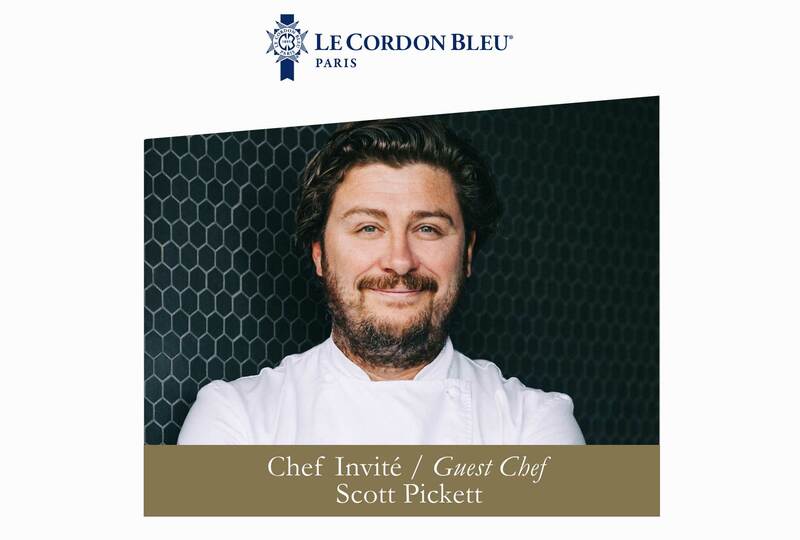 January 2019 - Australia is in the spotlight at Le Cordon Bleu Paris. Tom Milligan, Technical Director Le Cordon Bleu Australia is preparing with his team for the Bocuse d'Or competition that will take place during the SIRHA in Lyon. It is also the opportunity to welcome Scott Pickett, Australian chef, during a culinary demonstration. Chef Pickett became passionate about gastronomy and working with products from the terroir from a very young age. Following numerous successful experiences in a variety of Australian restaurants, Scott Pickett decided to open his own restaurant, Estelle, in Melbourne. His cuisine style is delicate and subtle, making full use of raw ingredients. He approaches gastronomy with simplicity but boundless generosity: working with seasonal ingredients, chef Pickett leaves nothing to chance. He creates and executes refined dishes which are in perfect harmony with his ethos: working whilst respecting producers and products. Thanks to his hard work and professionalism, he took part in the 2007 Bocuse d’Or trophy, a prestigious international gastronomy competition. During the demonstration, chef Pickett will be accompanied by his fellow countryman, Michael Cole, who will be a competitor at this year’s Bocuse D’Or.